So, now that it is officially November (crazy!! ), that means it is time for gingerbread desserts. Or do you wait until December for that? I feel that only one month of ginger doesn't do the dessert justice. It needs more time! I need to have time to fully enjoy the seasonal and holiday desserts. Like eggnog? I can't wait for that! Although, I do limit myself to just one month of enjoyment. Otherwise, my waist line may not be thanking me by January. Anyway, I decided to kick of gingerbread season with these gingerbread maple muffins. Man on man, these area ah-mazing! 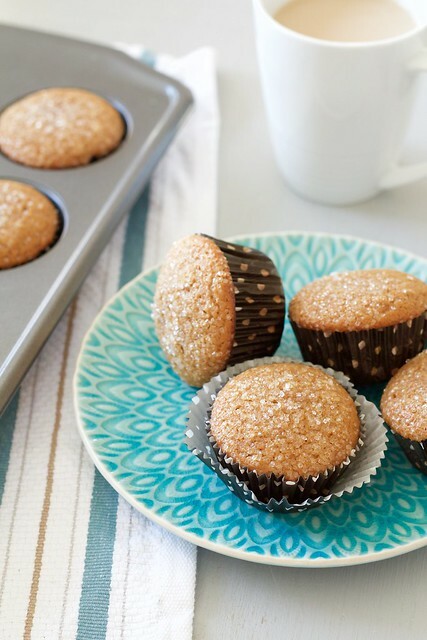 It's like eating my favorite gingersnaps in a muffin-nearly-cupcake form. They are wonderfully spiced, incredibly moist and just darn good. They were all my kids wanted for their Sunday breakfast, and for snack all day. These muffins would be welcomed anywhere, at any time. Preheat the oven to 350ºF. Line a muffin tin with liners. In a bowl, whisk together the flour, ginger, baking powder, cinnamon, nutmeg, salt and cloves. Set aside. In a separate bowl, whisk together the brown sugar and egg. Once combined, whisk in the molasses, maple syrup and vanilla extract. Then, whisk in the melted butter until completely combined. Stir in the dry ingredients until not quite combined. Before the dry ingredients are fully incorporated, stir in the milk until fully combined. Scoop the batter into the prepared muffin cups, filling them up about 3/4 of the way full. Top each with a generous sprinkle of coarse sugar. 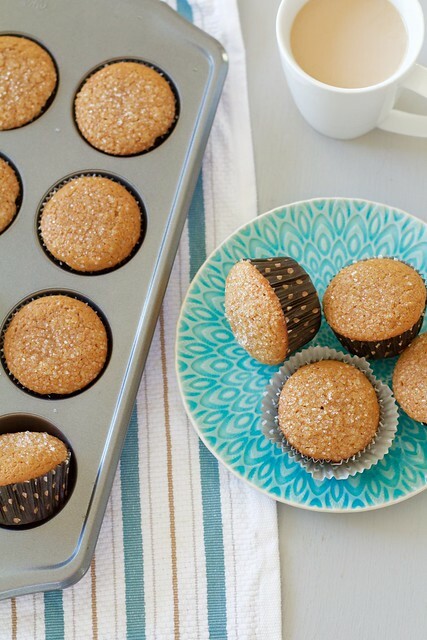 Bake for 20-22 minutes, or until the muffin tops are springy to the touch and a toothpick inserted into the center comes out with just a few clinging crumbs.